This page contains a guide for the Jump Rope Challenge in Super Mario Odyssey. The guide also contains the prizes that you can obtain in the mini game. 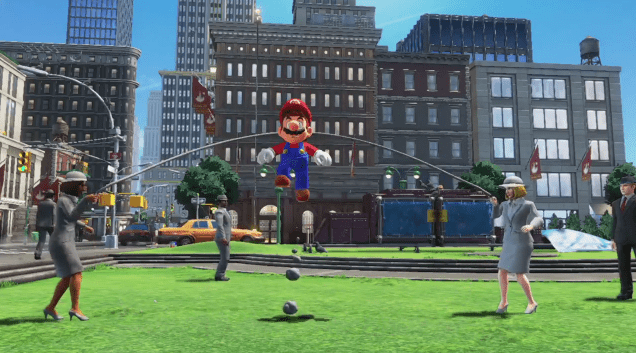 The Jump Rope Challenge is a mini game found in New Donk City (Metro Kingdom) in Super Mario Odyssey. In this mini game, Mario has to time his jumps in order to avoid the jump rope. There is a total of two Power Moons that you can obtain in this mini game. It is also possible for you to compete online to get the highest score in this challenge. Jump-Rope Hero: This Power Moon is obtained after getting a score of 30 on the challenge. Jump-Rope Genius: This Power Moon is obtained after getting a score of 100 on the challenge.